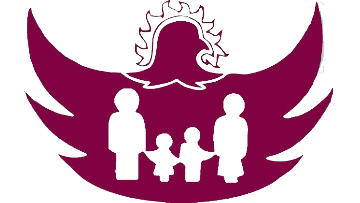 The Phoenix Centre for Children and Families is a fully accredited and progressive children’s mental health centre in Renfrew County, a small, picturesque area west of Ottawa. The Agency is known for its innovative programs and practices; as well as its supportive and positive work environment. We are inviting applications for full and part-time Family and Child Therapist positions to provide therapy for individuals or groups regarding psychological, emotional problems or family situations and develop and implement therapeutic treatment plans. Positions are on a contract basis with possibility of extension or permanency. Interviews client to obtain information concerning medical history or other pertinent information and is able to create both an individual and family assessment. Observes client to detect indications of abnormal physical or mental behaviour. Makes appropriate referrals to specialists when required and is able to provide relevant data to support the need for a referral as well as to assist the specialist in their work. Reviews results of tests to evaluate client needs. Plans and provides a wide range of therapeutic interventions with individuals, couples, families and groups. Changes method and degree of therapy when indicated by client reactions. Evaluates and discusses progress toward goals with client. Consults with other specialists and collaterals concerning treatment plan and amends plan as required. Able to identify and respond appropriately to crisis. Refers client to supportive services to supplement treatment and counseling. Completes all clinical and administrative reports/documents as required. Salary to be determined based on education and experience. Only those candidates chosen for an interview will be contacted.